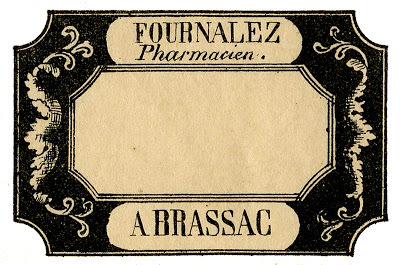 I’m so excited to have just acquired a nice collection of Vintage French Pharmacy or Apothecary Labels! 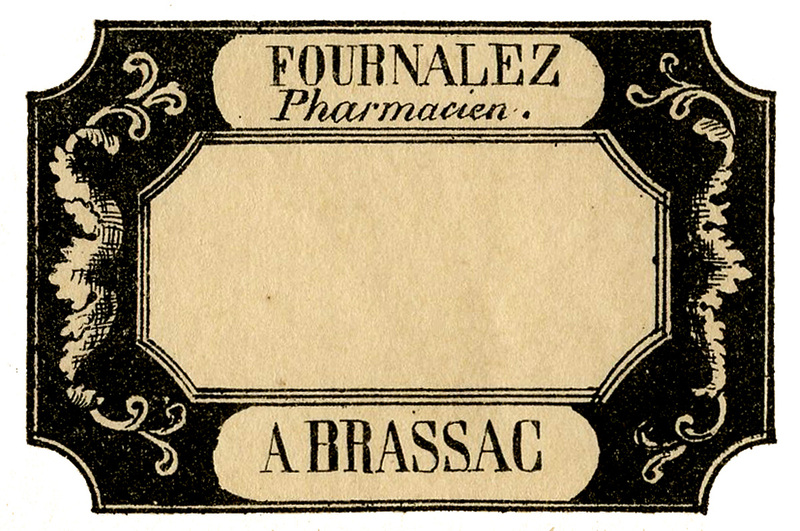 The label you see above is one from that collection. Isn’t it wonderful?!! I’ve included the original at the top of the page, it has a great old world look to it with the Creamy Paper and Black Frame. I also created a few other options, like the Black and White one and several Color versions too, for you to play with. I think this one has such a great shape to it, and the ornate design is so pretty too. You could use these labels to dress up some Antique Bottles or Jars, or use them to label some small Drawers etc. So fun! Nostalgic Floral and Berry Swag Label Image! Vintage Shield Armor Image Vintage Intricate Wood Panel Image! Thank you so much, these are nice! Sometimes it takes awhile to figure that out! I try to mix it up as much as possible, but sometimes I go on little sprees with different things, depending on my mood! Hi Karen, These are wonderful. Thank you for sharing. Superb Karen! Thanks so much for sharing! I love the labels and all the color variations too. Thanks so much for sharing. thank you so much for these bautiful lables. Hope you have a onderful week. Are you kidding me? I’ve been receiving your emails for only three days and I have to say that everyday feels like Christmas when one arrives!! I wish I had found you sooner as I’m blown away with the caliber of your images. You are so generous. Thank you. Karen: I am a francophile, as you are. I am an artist, accomplished in various painting endeavors, and surface design (screenprinting and the like) textile treatments. I also have a background in French. I would like to offer my skills to you for any translations you may like to know. Please be patient, as it has been a while, and I have recently taken what amounts to a refresher course in the language. My brother may help also, as he is a French Teacher. (Francophile: American Heritage Dictionary, © 1973, p. 522, says that a (La) Francophile (feminine), or (Le) Francophil (masculine) is a person who is an “admirer of France, its people, and its customs”. Please contact me if you like at my e-mail address.